Feels very relaxing and my hair has never felt so clean! I love this brush. I would recommend to anyone. This brush is very helpful. It makes the scalp feel great. 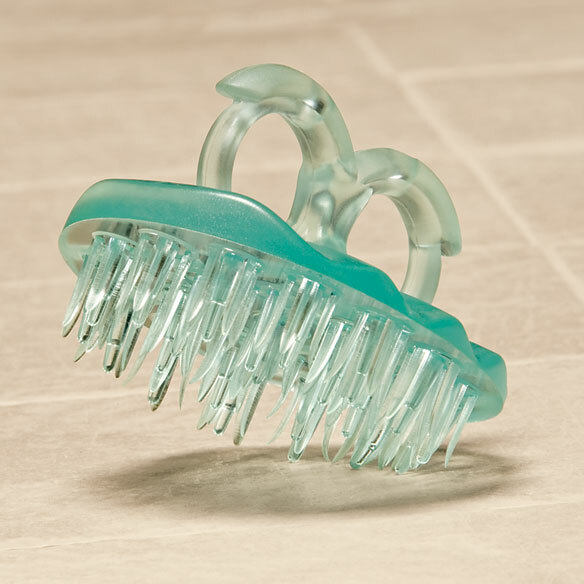 The firmness allows for gentle scrubbing of scalp without scratching the skin. My skin and scalp are very fragile so many products can be damaging. massage all the way up and through my hair. Been looking for one of these & have been unable to find one. The scalp brush I have now is getting brittle. I've been looking for something like this and am excited to give it a try. To stimulate my scalp when I wash my hair. My husband had one similar and loved it. We couldn't find one until I saw it in Easy Comforts magazine. 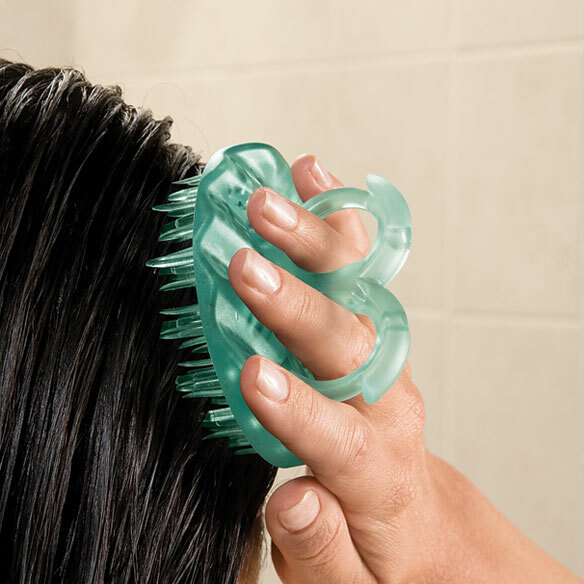 So I can scrub my head without having to use my fingernails. I was a Cosmetologist for 45 years, so my hands are sore, and these are great items to really get the scalp clean and stimulated. Needed a replacement and this one appears to qualify. My old one needs replacement. Because I used a similar product years ago and so happy to find it again. Have been looking for this brush for years! Finally found it. Lost my old one! Tried others, none work as well! My head is over dry. Has been most of my live. Been looking for one. I need this to help keep my scalp healthy . like the fact I can make my scalp feel better and mabe help my hair grow thicker I am an artic blonde aka white hair. Would this scalp brush help with dry scalp and rid dranduff? My grandson, a teen, has had dandruff for years, but has more oily hair. We’ve tried all dandruff shampoos but it’s never under control. Anyone know?